I live in the Twin Cities of Minnesota where I was born and raised. I work in a professional environment for a large fortune 500 company focused in the retail space. I’ve been married for 5 years and have two pugs, Mr. Pickles and Sophie. Currently I’m finishing off graduate school before starting to work on my Doctorate in the coming years. What was your best collecting moment? If your house was burning down, what’s the item you are taking with you? After, my wife and two pugs are safe….I would run back in for my ROTJ Tatooine Luke Skywalker. For some reason this piece has always been iconic for me, yes it’s something that you see often in terms of the artwork but its’ the best ROTJ example I’ve ever seen and this version is tough to come by in good condition on an ROTJ card-back period. If you were a vintage collectible or figure – which one would you be? ROTJ Proof Sheet – Due to my focus and spending a lot of time working with Proofs and Prototypes over the past few years a proof sheet of uncut cardbacks would be my holy grail. This could be a two figure sheet, or a full 16 but overall I think there’s something about the proofs when they are uncut that’s just iconic. What’s your focus as a Collector? My collection is focused on the ROTJ Release and all items surrounding that third movie in the trilogy. I did this mainly because the ROTJ series is the only product line that I can recall seeing in stores as a child. In addition to that reason I quite simply wanted to collect as much as I could, and given that the series represented all 79 figures there was a lot for me to go after here. Q- What was your best collecting moment? Early in my collecting of MOC’s I bought my first AFA graded MOC. It was a Canadian IG-88 on an ESB cardback. I couldn’t believe how good condition the card was in. I do recall just sitting there with it admiring how stunning it looked – I was hooked as a MOC collector thereafter. I’ve also got to say that having a small involvement in the chivecast podcast is a real collecting highlight. Q- If your house was burning down, what’s the item you are taking with you? Childhood Luke Bespin and Hoth Han – irreplaceable. Q- If you were a vintage collectible or figure – which one would you be? –	And although not mainstream, it is unmistakingly SW.
Q- What’s you collecting grail? It was a boxed Palitoy Death Star – but I was lucky enough to score a great one last year. 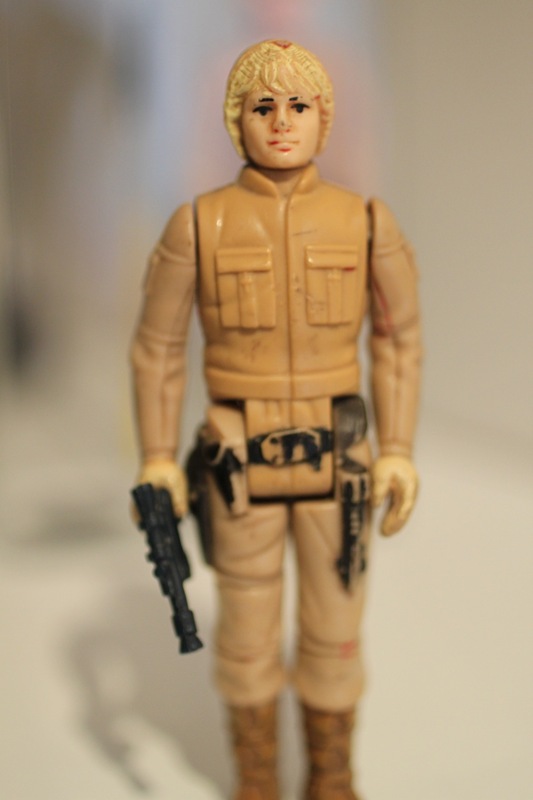 For now its a Palitoy 30 back – Luke Bespin. 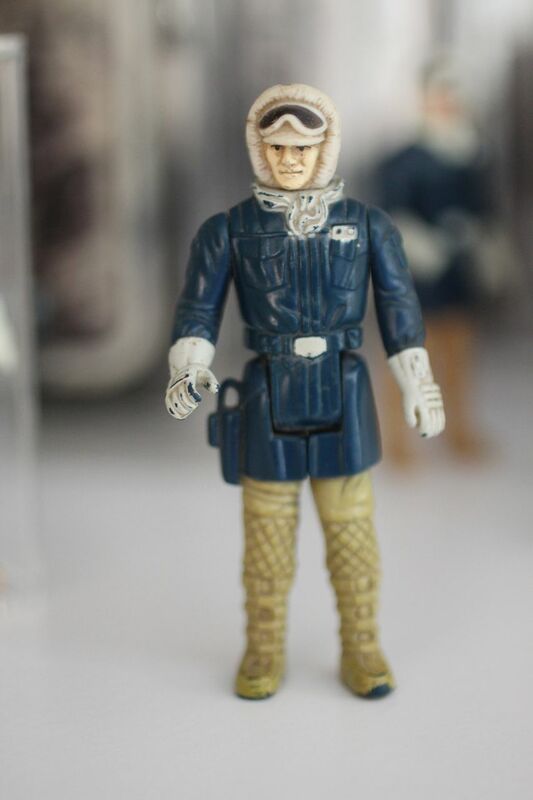 Empire Strikes Back related items – and in particular Hoth related items. My main SW toy as a kid was the Imperial Attack Base, so I had a lot of Hoth inspired ‘setups’ as a kid. I’ve focused on ESB released characters and in particular Luke Bespin and Hoth Han. The ‘chivecast is a podcast put together by Skye and Steve and is found on the Star Wars Collectors Archive. 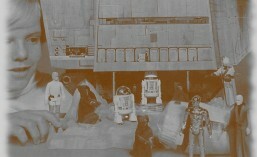 It’s a monthly podcast focused on vintage Star Wars toys (or collectibles). The show has a number of standard segments / features and focuses on one Star Wars character per month. One such segment is a Market Watch. I’m a listener of the show and for a little while now have been putting together a short summary to help Steve complete the Market Watch segment. I tend to focus on the character highlighted for the month. This blog has been put together to keep a record of those summaries. But for those who have come across this blog without hearing the podcast, follow the link, subscribe and enjoy the entire show.